The first two model houses below are for the Villa Montserrat community project under the Havila township project of Filinvest Land Inc. Villa Montserrat offers affordable housing for Filipinos and has good amenities since its very close to Ortigas Central Business District and just walking distance from San Beda Taytay, Rizal. 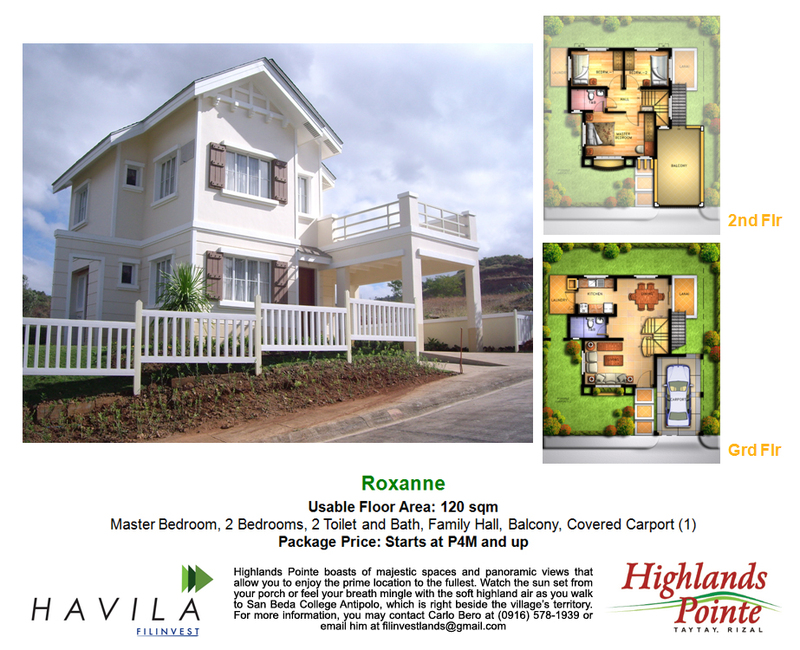 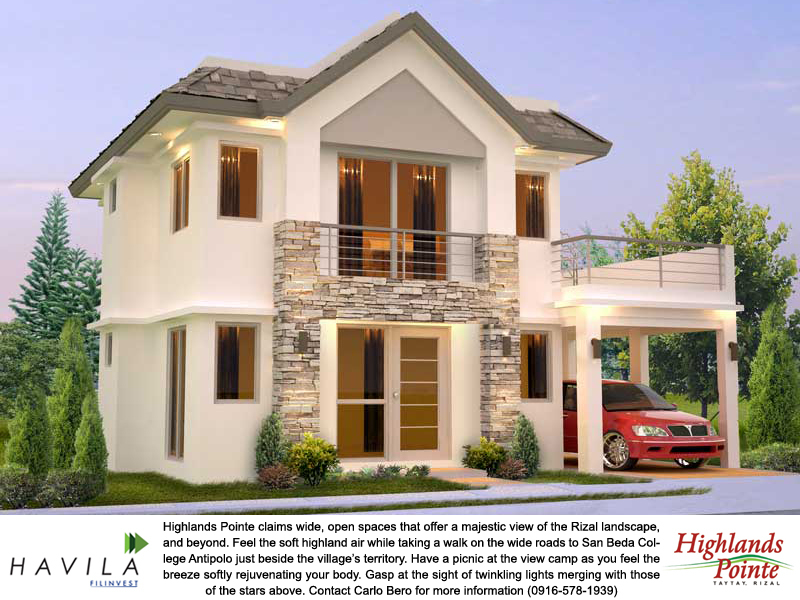 The three model houses below are model houses for Highlands Pointe community also under the Havila township project of Filinvest Land Inc. Highlands Pointe offers bigger lot cuts but on a lower price per square meter. 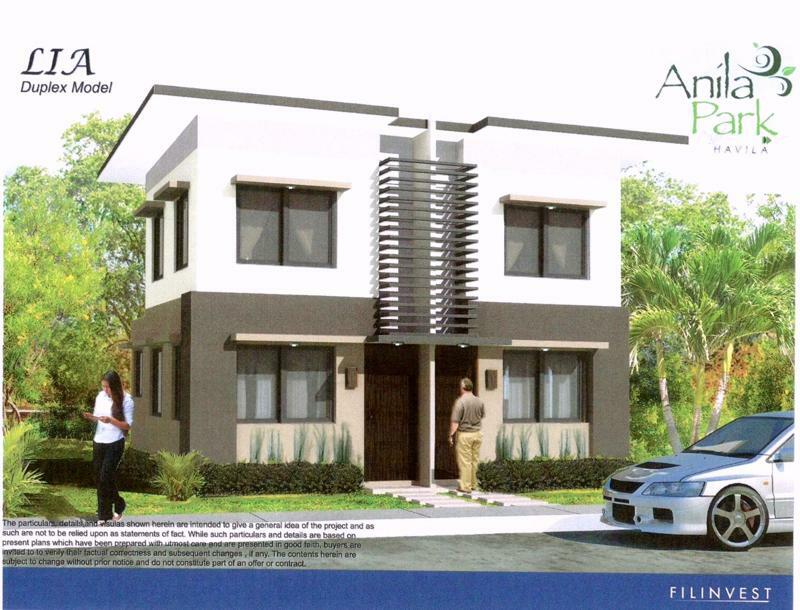 Some celebrities of ABS-CBN Channel 2 invested in this community. 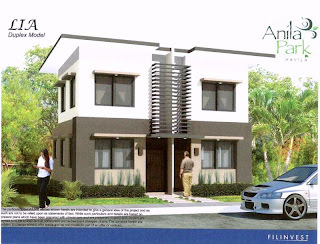 The latest development of Filinvest in Taytay, Rizal is the Anila Park. 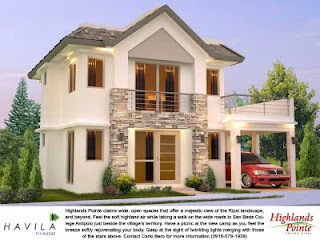 It is in the development stage but will be Soft Launched in 2011. 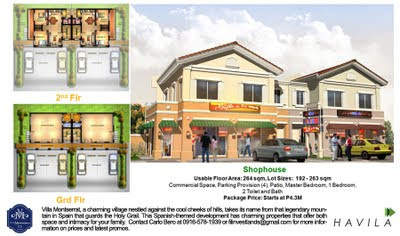 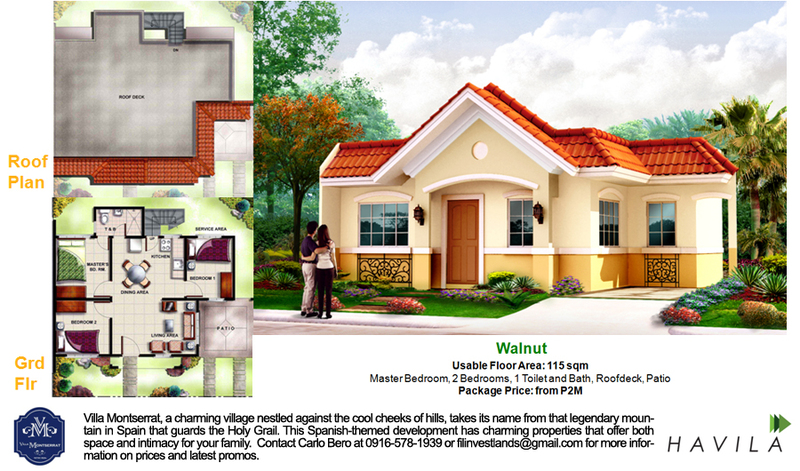 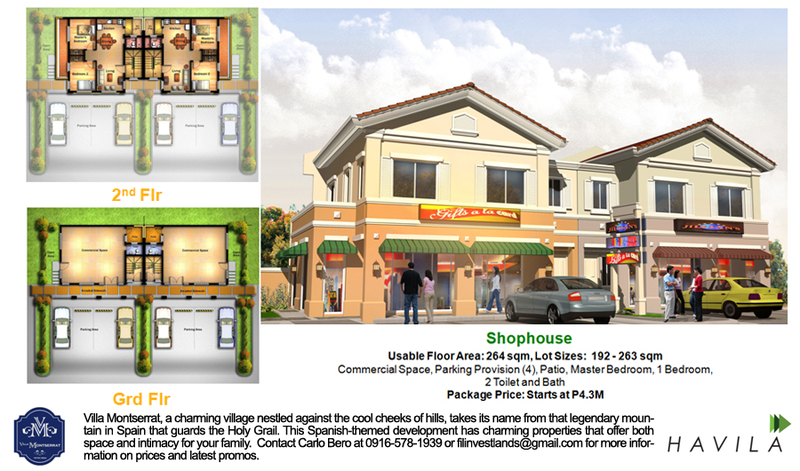 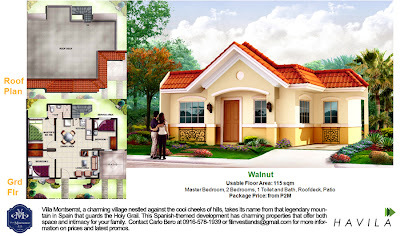 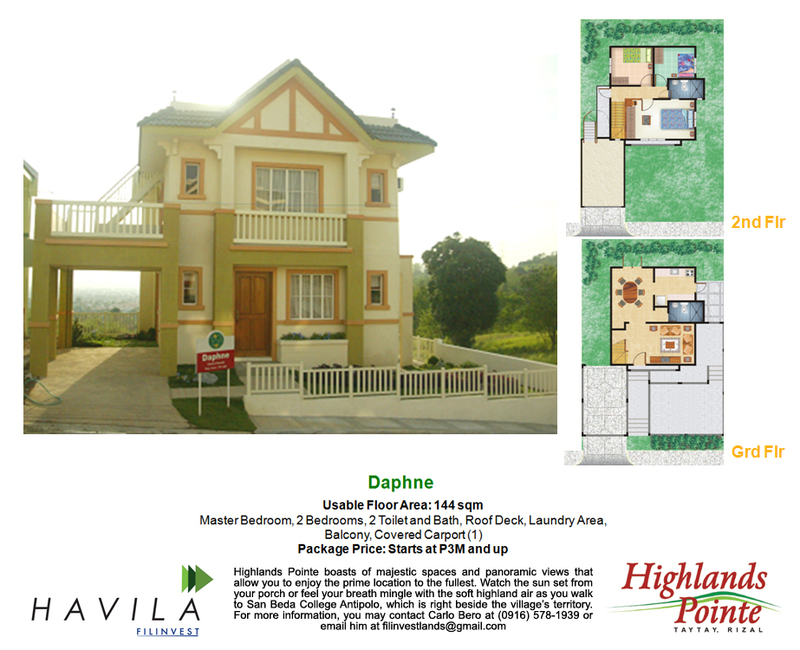 It is the most affordable house and lot package in Taytay since the house and lots are in Duplex.